Surviving (and Thriving!!!) during your first 24 hours! Before jumping on my plane to Rome, I thought I was the most prepared person on the planet. I had completed all my paperwork, packed like a professional, read countless blog posts, talked to study abroad alum, and made a Pinterest board with even more information. Sound familiar? Well, when my plane touched down in Italy, it felt like those months of preparation disappeared and I had no idea what to expect. 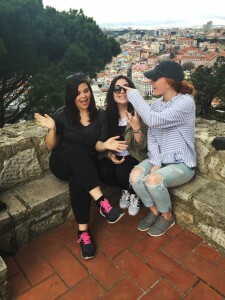 While jumping into new things is half the fun of studying abroad, here are some tips to make sure you thrive in your first 24 hours! Jet lag is not a force to recon with! : Right now you are excited to see the whole world, but I promise, first day you are going to be exhausted from gaining/losing hours. Try your best to adjust as soon as possible! The best advice for this is to change your phone’s time to the country you are going to. This way, you have some sense of what you should be doing and when. If the people in your new country are asleep, you should be too! Also avoid naps, it will just throw your whole body clock off! Bring a good amount of cash with you (and small bills if possible! ): On your first day, you’ll want to explore and eat on-the-go. In Rome, cashiers are reluctant to take your card, and if you try to pay for an 2euro espresso with a 50 euro bill, they’ll be mad at you. Have a few 5-10 euro bills and you will be set! Find the comfiest shoes you own and plan on wearing them 99% of the time: get ready to walk A LOT! You’ll be so mesmerized walking around your new city that you won’t even notice that you’ve walked 5 miles…. But only if you wear comfortable shoes! I never wore Chaco’s before this trip, but now they are my prized possession. New outfit, new person! : Pack a set of clothes in your carry on! While this is good advice, just in case you lose your luggage, I can guarantee that you will be tired, stinky, and a little overwhelmed once you get off your plane. Changing into new clothes will make you feel ready to take on the city! Become a sponge: you are going to be exposed to a whole new culture in a foreign country, and you’ll absolutely love it! Be open and learn, because this can really set the tone of your whole trip! 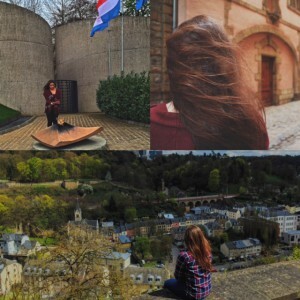 Why did I rank Luxembourg City so low? Probably because the city is very tiny… in fact, the country itself is very tiny. You can see absolutely everything there is to see here in one weekend. However, I am here to tell you why you should definitely visit Luxembourg despite all this. First of all, if you feel a little homesick, then you should definitely go to Luxembourg City because there are literally so many Americans here I almost cried. It was so beautiful to listen to clear English after 8 months… But joking aside, Luxembourg City is actually something like 40% immigrants and another fun fact is that there are 3 official languages here and they are: French, German and Luxembourgish, and the people also speak great English. Another thing to know about Luxembourg City is that it is the second richest city in the world and that is probably because of the opportunities and businesses located here. However, aside from the facts, when it comes to things to see, there are not that many monuments or palaces, etc… Which is another reason I ranked the city so low. However, my recommendation is to talk to someone at the hotel you are staying at or at a tourist information center because they will recommend you with really cool and nice things to see and do while you are here. 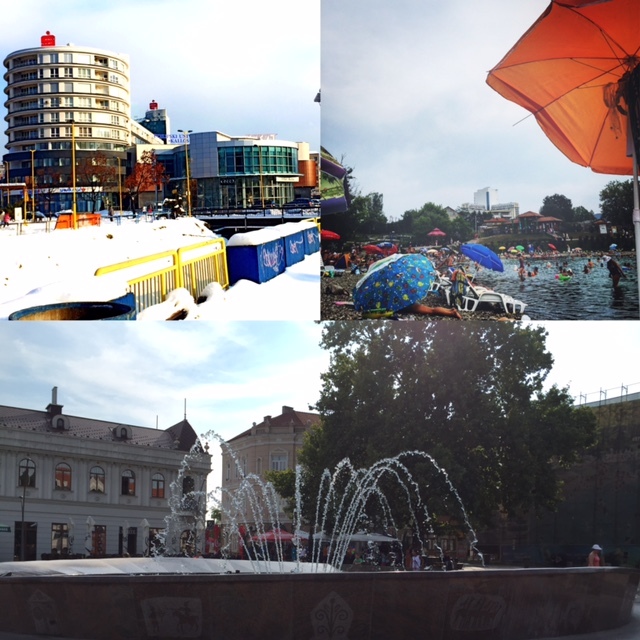 Well Tallinn was definitely, without a doubt, the biggest surprise for me. 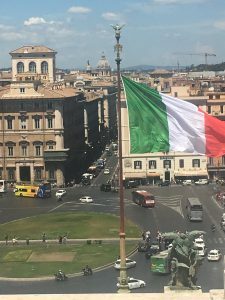 Every expectation I had of this city was destroyed once I visited, particularly because of how insanely nice it was compared to what I was expecting. The coolest thing about Tallinn for me was how I felt like I was living in the medieval times. 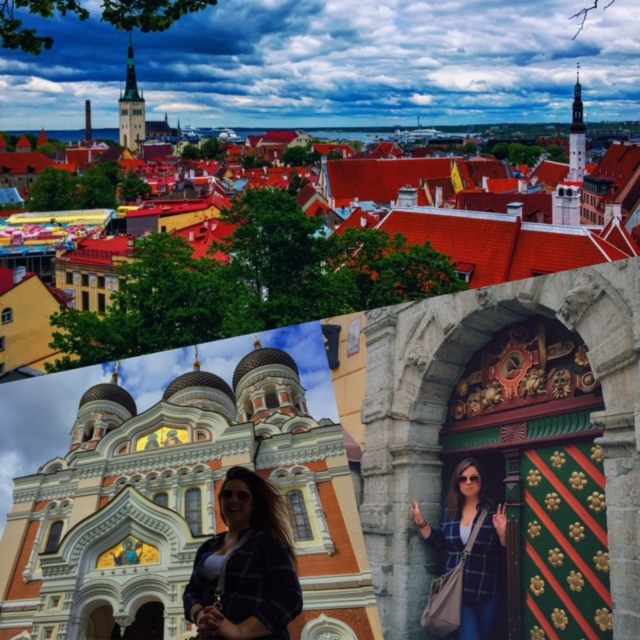 The people of Estonia really embrace the theme, especially in the “Old Town.” You can find men and women dressed in medieval costumes and there are even restaurants that once inside, you really feel like you are having a feast during the medieval times. I absolutely loved it. The well preserved “Medieval Fortress” located here is also one of the many reasons the people keep up with the theme in the old town. There is also a medieval prison that you can check out. Also, the secret passages, located underneath the old town, are basically a labyrinth of 17th century tunnels, and a fun fact about them is that they were used during WWII. 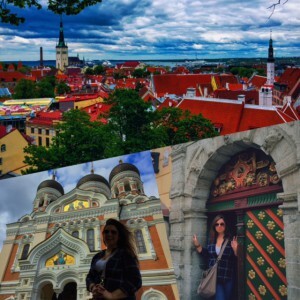 Really, I was absolutely amazed by all Tallinn had to offer and I would certainly recommend the city to anyone, especially since it is also so insanely cheap, you simply cannot resist. Yes, I visited the home of Santa Claus, well the country… unfortunately I did not get to visit the amusement park “Santa Claus Village” in Rovaniemi, Finland, but believe me Helsinki sufficed my desires. 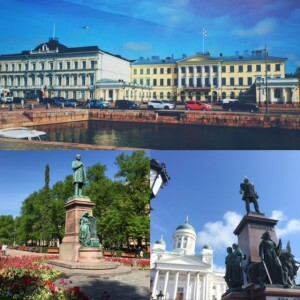 I visited Finland partially because I loved all the Scandinavian countries so much, I wanted to see Finland and complete my list of visiting all the Nordic countries. Also, a friend from Finland who studied in Germany the previous semester was my personal tour guide and for that I was very grateful because I got to see sides of Helsinki a typical tourist would not get to see. However, do not fret, Helsinki is so easy to navigate because it was built on a grid-based format and the transportation is amazing here. Not that you need it, walking is also great because the city is very pedestrian friendly. The only time I would recommend transportation is if you plan on visiting one of the islands that also comprise the city of Helsinki. My favorite part about Helsinki was definitely the neo-classical buildings including the senate square, government palace and cathedral. Also, there are many marvelous structures such as glass palace, swimming stadium, tennis and Olympic stadiums. The last point I want to make is that Helsinki had insane shopping, there were, I believe four shopping malls laid out throughout the city and they were all four floors. I wanted to stay shopping forever here. Helsinki was truly a joy and I undeniably recommend visiting if you find yourself in Finland. Well, you can definitely prepare yourself and say hello to an overwhelming number of tourists in Amsterdam… you have been warned. 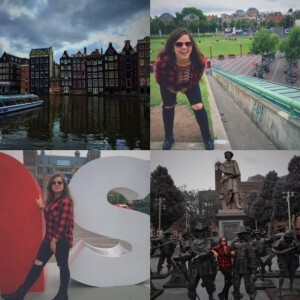 However, I do not want to take anything away from the Netherlands and especially not Amsterdam. I really enjoyed my time here. There really was so much to see that you can easily spend a week in this city and enjoy yourself. So here are my recommendations. First, I would say definitely rent a bike because that is literally one of the things Amsterdam is known for. There are so many bikes everywhere and bike lanes all throughout the city make it very convenient to have a bike. My tip also is, stay out of these bike lanes. While the Dutch may be extremely friendly, they become a totally different person when they get on their bike. You may get run over if you are in the bike lane so stay on the sidewalk. Another tip, there are a ton of really cool museums here. The two I picked to visit are the Rijksmuseum, which was pricy, but so worth it and the Dutch Resistance Museum. Also, if you plan on going to the Anne Frank House, I definitely recommend getting tickets ahead of time because that is the only way to get in. Unless you plan on standing in line for hours. My last recommendation is to not spend all of your time in the Red Light District. Although, it seems appealing, there really is so much more to Amsterdam than just the Red Light District and of course, weed. 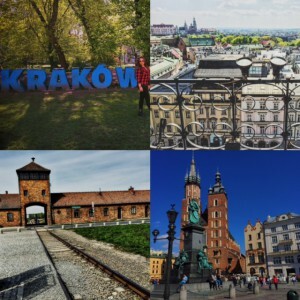 Poland was the one country I absolutely refused to leave Europe without seeing, and as odd as it seems, I had a motive for wanting to visit. I spent a great deal of time learning about the Holocaust in high school, so finally getting the opportunity to visit Auschwitz was a very overwhelming experience and although, difficult to put into words, the best way to sum it up is that I did cry. I do not know any person that can visit such a place and not get emotional. Moving on to Kraków, all I can say is what a beautiful city. I am just going to go ahead and brag about how cheap Kraków was, especially when it comes to food. I would definitely recommend any soup because there are so tasty. Also, I had the best steak of my life in Kraków, and I think I paid like the equivalent of maybe 12 euros for a full meal. In addition to that, the castles, cathedrals and various monuments are definitely enough to keep you busy. I would also recommend visiting the Kraków Ghetto and getting a little more history, especially if you combine the visit to the ghetto with your experiences at Auschwitz. The first thing to mention about Oslo is that this city will cost you an arm and a leg basically, Oslo is the most expensive city in all of Scandinavian and Europe. Literally, they could charge 13 euros for a Coke and that would be absolutely acceptable for them. With that aside, Oslo is stunning. Really, you will feel like royalty here and be treated like it as well. Oslo, in addition, is very large and actually a lot of the city is comprised of forests, but not many people know that. 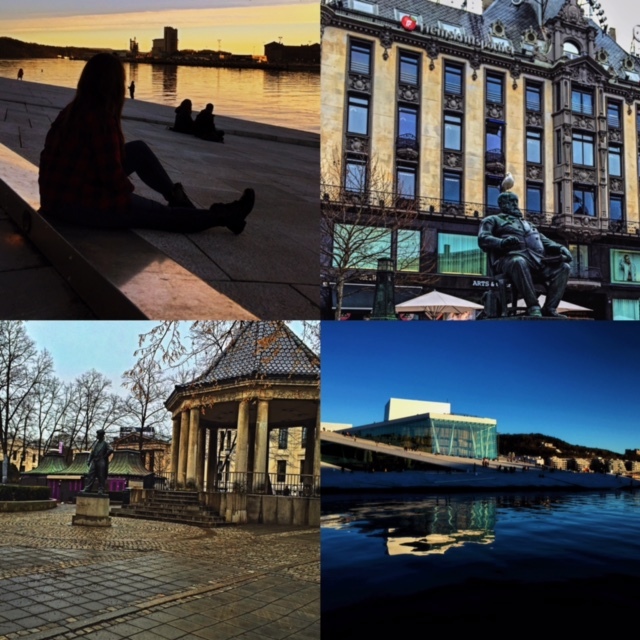 Oslo is popular in many regards, but here are some of my favorite because they are also the reason Oslo is very prevalent among tourists. 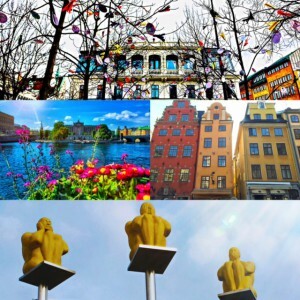 The first thing, Oslo is actually the city that hands out the Nobel Peace Prize every year. Second, you can see “The Scream” by Edvard Munch because it is held by one of the museums here (National Gallery). Also, there is the Viking Ship Museum and the Opera House is absolutely insane. In fact, I have never seen an opera house as stunning as the one in Oslo. The last thing I want to mention about Oslo, that is definitely a must see, is the Vigelandsparken Sculpture Park, which is filled with 212 Bronze and granite sculptures, all designed by one man. Saying that Copenhagen is as beautiful as a fairytale would not do the city justice. The magnificence surrounding this tiny place is absolutely unreal. I fell in love instantly and in my opinion Copenhagen is the most beautiful capital city of all the Scandinavian countries. There is no way you will be able to see everything in one weekend. I learned the hard way when it came time to leave because I knew there was so much more to see. From the museums, to palaces, to castles and galleries, there is enough to look at for the whole weekend. However, Copenhagen offers so much more than that. The Tivoli Gardens were my favorite, also I spent a great deal of time trying to get the perfect shot at Nyhavn Harbor and also of the Little Mermaid. Støget, the longest pedestrian street filled with many shops was amazing, even if everything was pricy… but hey, welcome to Scandinavia. I do not even know where to begin with Sweden. Or should I call it land of IKEA and H&M… but in my honest opinion Sweden should also be known as the land of manbuns because every third man I saw had one. So if you are a person that is into that look, then you will surely enjoy the Swedish people. Not to mention that the Swedish are naturally perfect, tall, blonde and stylish. The Swedes also had the best English out of any people I have met during my travels, and believe me, I have met many. However, enough about the people, let us talk about the cities. 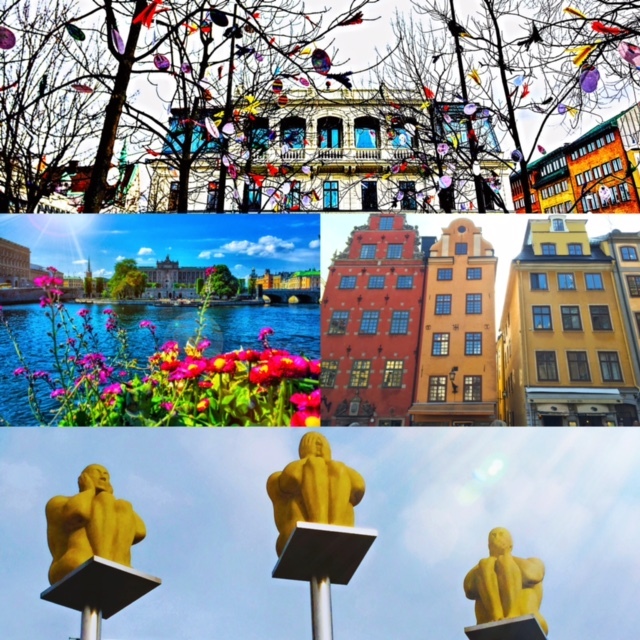 I personally did not like Gothenburg as much as I loved Stockholm. 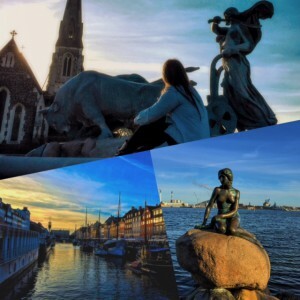 Both are, respectively, the second and first largest cities in Sweden. The reason I did not really enjoy Gothenburg is because the city was very industrial for me. Which is great, I guess, but I like pretty buildings and nice monuments. That is why Stockholm was absolutely perfect. I mean the city is outrageously beautiful. Even the part of the city they refer to as “Old Town” did not even look like what you expect. I really enjoyed my time in Stockholm and Sweden in general. In fact, if Sweden was not so cold and expensive, I definitely would have liked to study here. 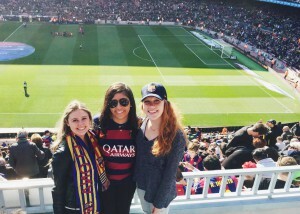 I am writing this blog post in the comfort of my own home in Louisville, Kentucky after returning from Barcelona a little over a week ago. 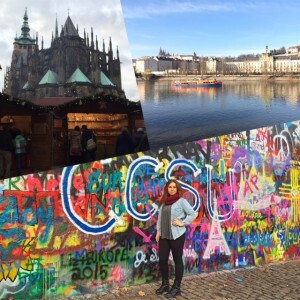 I have had time to reflect on my semester abroad and all I can say is “what now?”. I was “go go go” for four months straight and now I am unemployed and living at home! That’s reverse culture shock for ya! BUT, as a I think back to the 20 plane rides, 30 trips, too many nights out and the constant feeling of not knowing what’s next, I can’t help but be thankful to be home. I look forward to returning to the University of Louisville for my senior year, as a cultured, more independent woman and I have the amazing Study Abroad Program to thank for that. 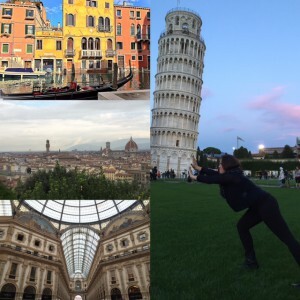 Since I have had so much time to reflect on my semester abroad in the past week, I have compiled a list of “lessons,” that will be helpful to me in my future travels and everyday life, as well as, to all the readers out there. 1. Enjoy the Little Things: I say this because, when spending your weekends traveling Europe, you think that you must visit every museum, landmark and cathedral in just 3 days. But, I have to tell you, that is impossible and extremely draining. My advice is to allow yourself to enjoy a long lunch or sit in a park and people watch if you want to; the museum will probably be like the one you saw in Paris last week and the cathedral will never live up to La Sagrada Familia in Barcelona (; By taking time to enjoy the little things, you will create better relationships with your travel partners, get a better grasp of the culture of that country and probably save some money along the way. 2. 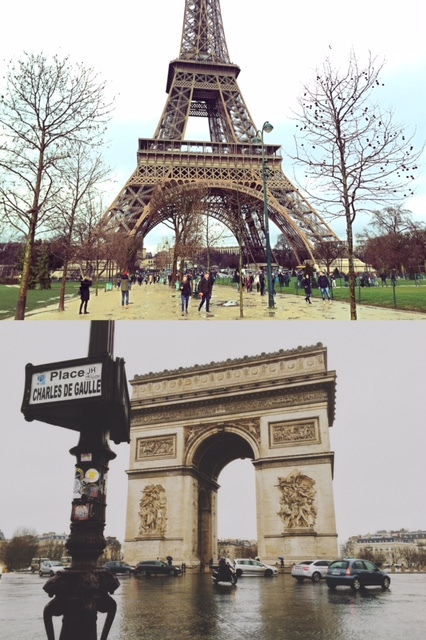 Walk Everywhere: This is the best way to acquaint yourself with the city and the most healthy option if you are like me and ate a croissant everyday. Comfy shoes will be your #1 travel companion with the app, Citymapper, or just maps on your iPhone taking close second. 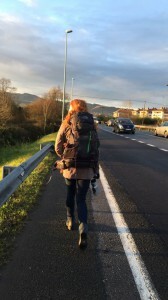 I walked up to 13 miles a day on every weekend trip and close to 6 miles on a daily basis in Barcelona. It sounds exhausting but you will miss the option once you return to the states where everything is spread out. 3. Don’t Just Visit the Biggest Cities: One of my regrets was not traveling to enough small, quant places. I didn’t realize this “mistake” until I came home and was asked “what was your favorite place you traveled?” My answers all had a reoccurring theme; they are all small cities, unaffected my massive amounts of tourism. The list includes Interlaken, Switzerland, San Sebastian, Spain and Lagos, Portugal. 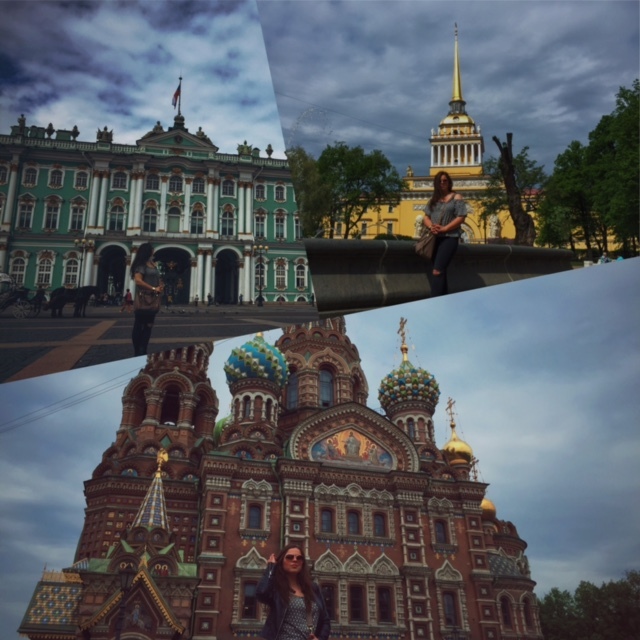 I love these trips because I allowed myself to absorb the beauty and simplicity of the cities as well as take advantage of the nature that surrounded me. Also, go skiing in the Swiss Alps. Just do it. 4. Money is a Factor But Not an Ultimatum: In my first couple weeks abroad I was extremely stressed out about money. I wasn’t used to spending so much everyday, plus I was planning all my weekend trips and my bank account was quickly dwindling. With that being said, my mom gave me the best advice and I will relay that to you. Now is the time to spend your money. You have the rest of your life to make up for any money lost while you were abroad. Not to mention, it is only four months of increased spending. You and your bank account will recover. So if you can’t decide if you should treat yourself to the infamous steak in San Sebastian, spend the extra 10 euro to go to the top of the Eiffel tower or go to an over priced Barca game, JUST DO IT. Those memories are worth a thousand more euros and you may not get the chance to do it again. 5. 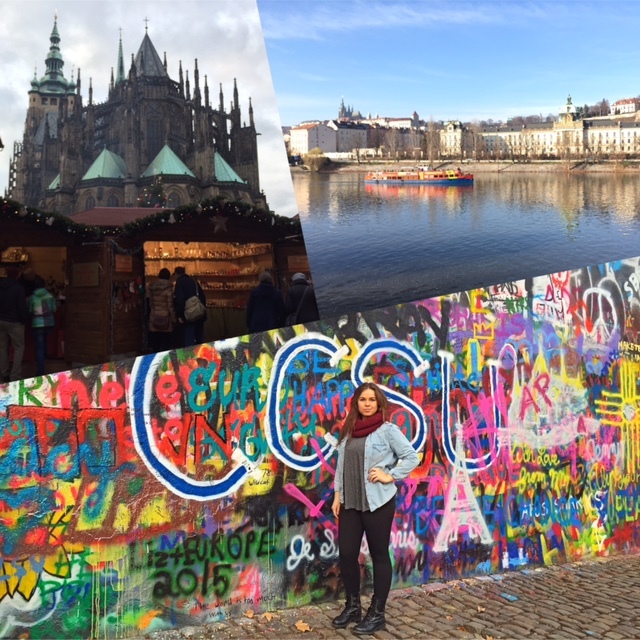 Be Thankful: Not many people get to say they spent a whole semester abroad. Throughout my time in Barcelona I had to remind myself of how rare of an opportunity this is and that missing a flight, bad weather or being crammed onto a metro is nothing to complain about. I became much more laid back because in the grand scheme of things, I was abroad and nothing could ruin that for me. So all in all, go abroad with an open mind. 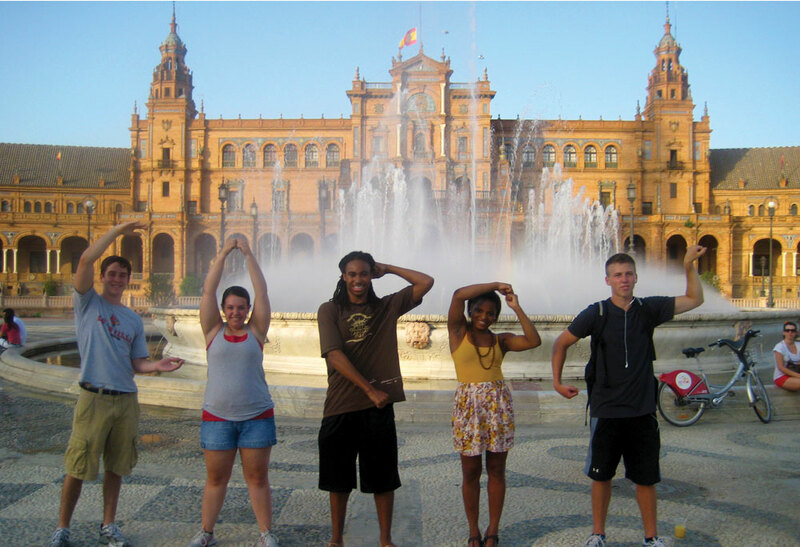 Embrace the culture, embrace your roommates, embrace the course load because you are abroad and you are lucky. I have many more lessons but I will end it there. While I have a mixture of feelings about being home, these important lessons remain constant and will be with me for life. My “home sweet home” in Kentucky is now shared with my home in Barcelona and I am looking forward to finding out what my “what now” has in store for me. I think I am being unfair to Slovakia, but there has to be a shortcoming. 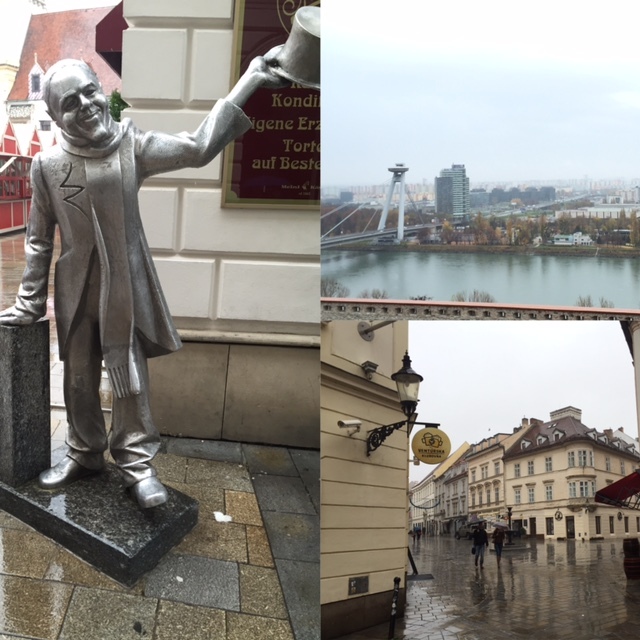 So I will say this, Bratislava was beautiful, however, a little small. The city is notorious for vine yards and the Danube River, which runs through it. In fact, there is the “Altitude Restaurant” which you MUST visit. Nowhere else will you get a view or experience like the one you will get eating here. I happened to have some of the best tasting food in Bratislava as well. I regret ranking the city last because it is not crowded with tourists and you will get a true authentic experience visiting it. There are plenty of things to see here like the castles, and Bratislava has some really interesting statues throughout the city. I guarantee you will enjoy yourself for a weekend. Madrid absolutely broke my heart. Back story, I have never been to Spain and I have had a huge fascination with the country, Madrid in particular, for a very long time. However, once I finally visited, I was so disappointed. Dare I say, Madrid was a little ghetto for me. 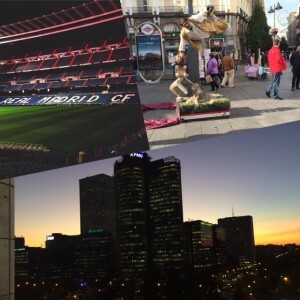 I guess I had such high expectations for Madrid and in the end the city did not live up to the beauty. However, Spanish people are absolutely amazing and super friendly. The highlight of my trip was definitely the shopping and visiting estadio Santiago Bernabéu (Real Madrid’s soccer stadium). The plus side is that Madrid is so big you have plenty to do. My best friend also studied here and she says the night scene is amazing. Beautiful country, but a little too calm for me. That about sums up how I felt about Switzerland. I got to visit Switzerland at the beginning of my studies when it was still relatively warm and I really enjoyed my time here. There is a lot to see and experience. 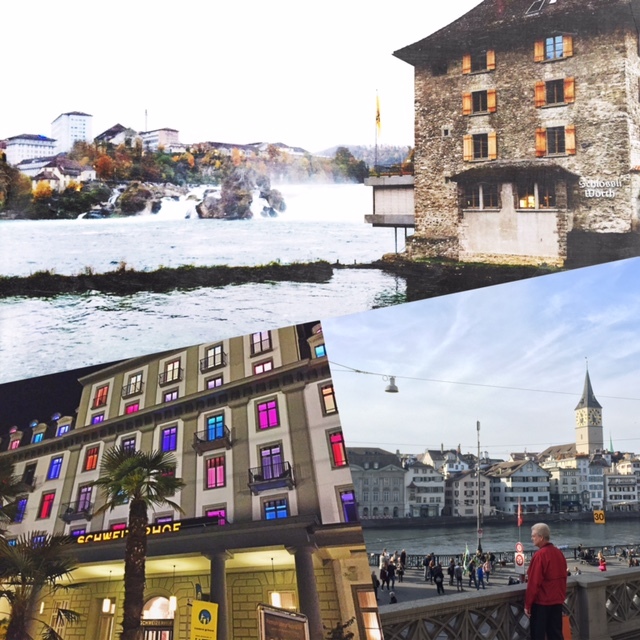 The cities and the Rhine Falls were, again, very beautiful. However, like I mentioned, it is a little too peaceful for me here. Also, Switzerland is very expensive and that is something to keep in mind. 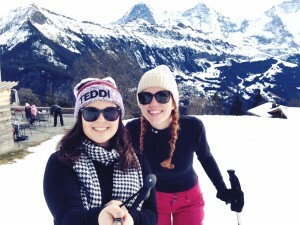 I will throw this one last bit out there, if you are into skiing, I had a few friends go ski in Switzerland over the holidays and they had a great time. Just something to consider. Austria is like the sister of Germany. If you have visited Germany and you then go to Vienna, you will feel like you are in back in Germany. 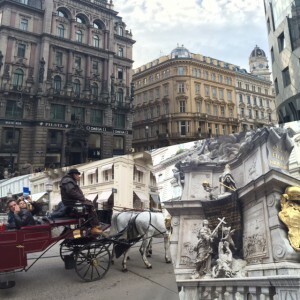 Vienna is one of the most artistic cities. There are so many museums you can visit here. My favorite would be any displaying modern art or music. Also, I particular enjoyed the opera house. All and all, there is plenty to see in Vienna if you are into arts and culture. I went to Paris during Valentine’s Day weekend and all I can say is that the city was truly magical, even if it rained all weekend (it almost always rains in Paris btw). 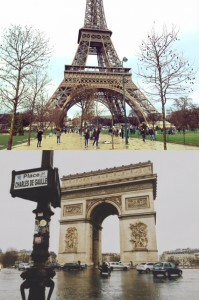 However, Paris is Paris and everything you expect to be true about it most definitely is. The city is crowded with tourists so do not expect too much of an authentic French experience in Paris. However, the city has pretty cool clubs and plenty of monuments you can pose next to. I recommend buying an all-day metro ticket to save money AND because it is nearly impossible to see the whole city and all the touristic sites without the metro. Prague is oftentimes referred to as the Paris of central Europe, and rightly so. Prague is absolutely beautiful and there is so much to see in the city. From churches and cathedrals, to castles and museums, and walking along the Charles’s Bridge, I promise you will need more than a weekend to see everything Prague has to offer. 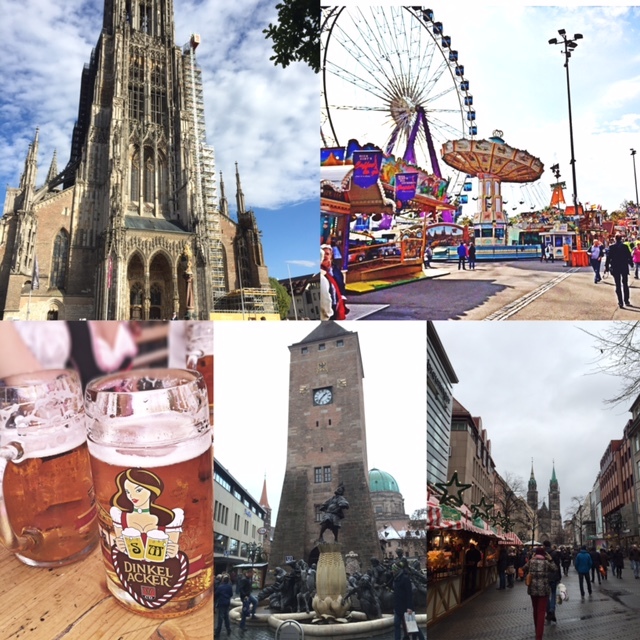 I particularly enjoyed Old Town Square and visiting the Jewish Museum. However, I do have a few tips. First, it is nearly impossible to find a place to eat if you are trying to do so directly in the city center. Most places are fully booked. Also, regardless what others might inform you of, Prague is not that cheap and if you are in the city center, you will definitely be running to the ATM machine if you do not have enough Czech Crowns exchanged. Also, be wary of the service in restaurants. The Czech people are not necessarily the nicest. My last recommendation, you must visit the largest club in central Europe, Karlovy lázn?. You need a week to see this city. Plain and simple. Actually, you probably need more than a week. 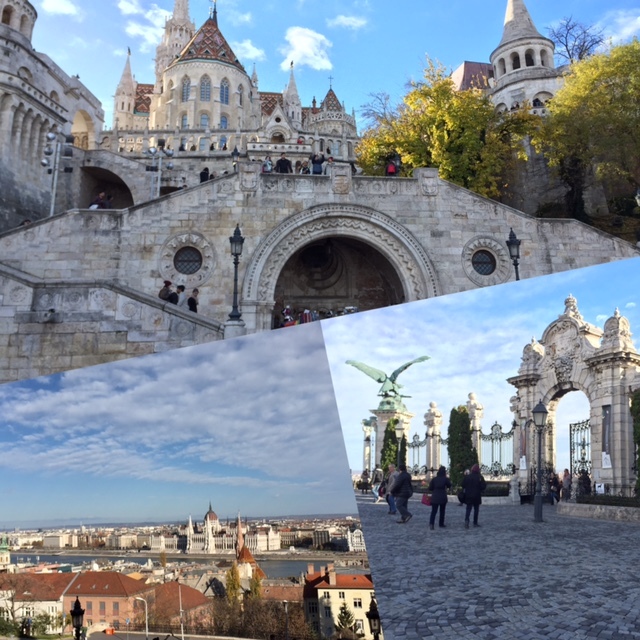 Budapest is unlike any other place you will visit in central Europe. If you are like me and love to take tons of pictures of really cool buildings, architecture and amazing monuments, then this is the city for you. Hungary is known for its word famous thermal baths so if you visit, I would recommend checking them out. Also, if that is not enough to convince you to go to Hungary, then the fact that this is probably the cheapest country in the European Union should be. I am not exaggerating when I say this, especially for a capital city, Budapest was very cheap. At the end of my stay I had to think of creative ways to spend my money because I did not want to take so many Hungarian forints to Germany and exchange them back into euros. I do not even know where to begin with Italy. In fact, the country is just as magical as it is made out to be. Venice is one of the most beautiful cities in the world. There is so much to see and do here you will never want to leave. The same is true for Florence. 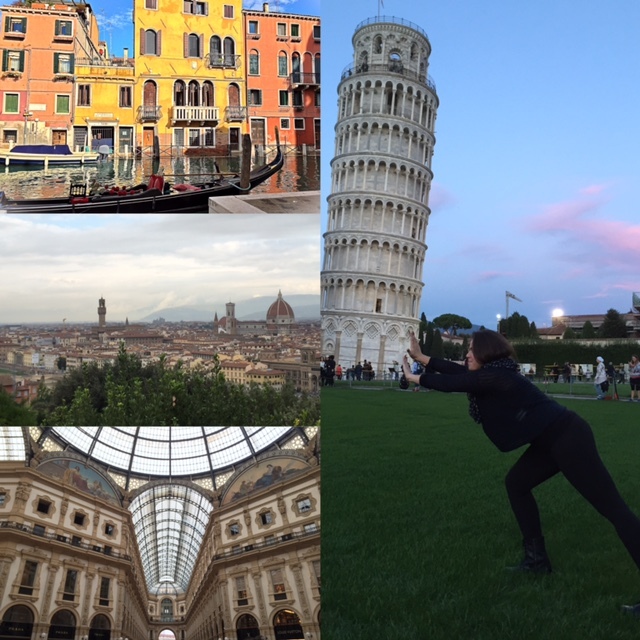 In fact, if Florence was a country, it would be my favorite. You could spend hours walking the streets of Florence and not get tired of the beauty around you. Also, if you love beautiful architecture and art, then you must say hello to the home of the Italian Renaissance. In regards to Milan, there is not as much to see here as there is in Florence and Venice, however, if you like fashion and shopping then there is no other place more fitting. Milan after all, is one of the fashion capitals of the world and you will need more than a day to hit all the stores. Pisa is a bit more different and in fact not what you would expect of Italy. There is hardly anything to see here besides the Leaning Tower and two more monuments which are located in the same location as the tower. I would not recommend getting lost at night in Pisa. It can be very scary. I could not resist making Germany my number one because it truly is my favorite place in Europe. There is so much to do here. From festivals, to markets, to sporting events and music festivals, Deutschland is always buzzing with activity. Need I mention that Germans love to party and are amongst the best drinkers in the world? Bars in Germany are superb and open all the time for anyone looking for a good drink with great company, especially during a fußball (soccer) match. 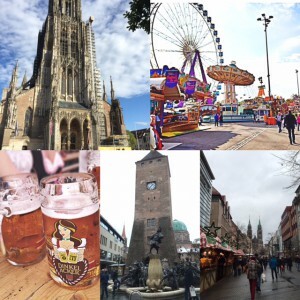 German history, the ancient castles and beautiful scenery, the beer, their amazing food and sports, and the big cities are enough to convince anyone to visit Deutschland, but I recommend visiting the smaller, less known places as well because that is where German magic lies. Ever heard of Heidelberg? Bosnia is the hidden treasure of the Balkans… It is also my birth country. I would never shy away from recommending it as a place to visit. For those who do not know much about the country’s history, Bosnia was almost destroyed by a war that occurred not that long ago. However, despite the tragedy, today the country flourishes and is a very popular country to visit for those who want to learn about it. Tuzla, Sarajevo, Banja Luka and Mostar are great cities to go to if you want to experience Bosnia’s history and be greeted by beautiful scenery and warm hospitality. I would, however, recommend visiting Bosnia in the summer. Unless you like lots of snow, then by all means Bosnia is the place for in the winter.